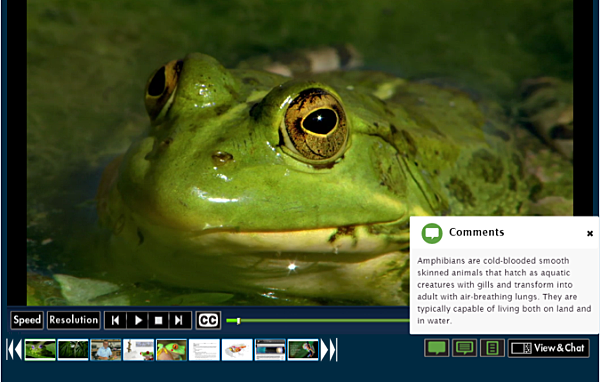 Easily string together multimedia files, documents and web links to create a single playlist. 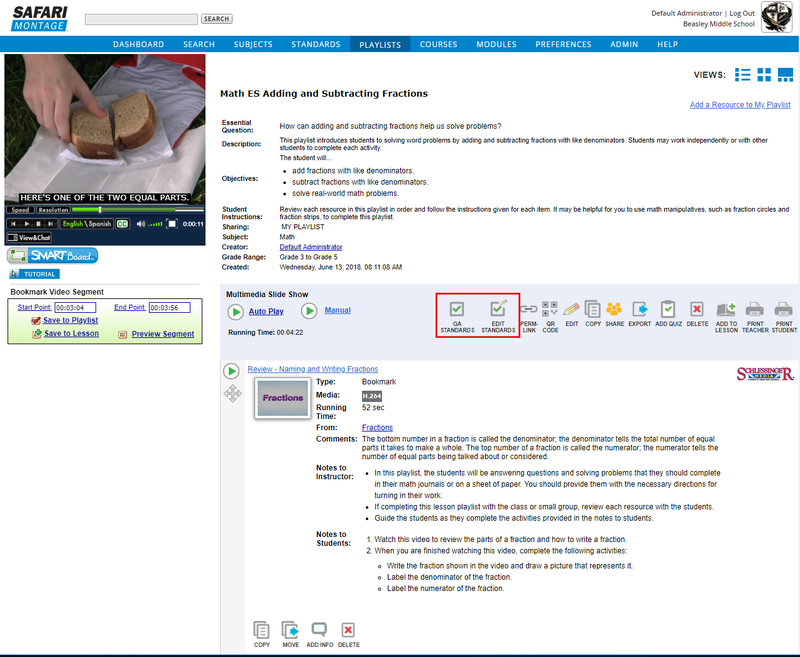 District personnel and/or schools may easily disseminate playlists that have been customized to their curricula or textbooks. 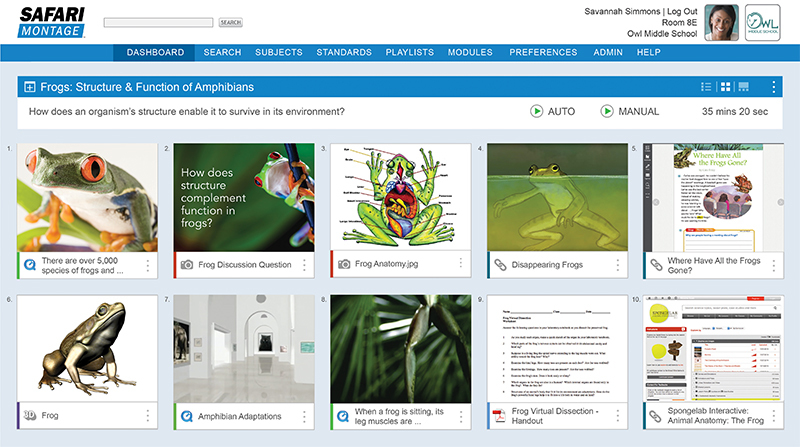 Correlate playlists to academic standards, including Common Core & State Standards, and search playlists by standard correlations. Add segments to any playlist, not just the active playlist. Copy segments/bookmarks from any playlist to any other playlist. NEW 7.2 Teachers and students can now print playlist summaries to review Essential Questions, Objectives, Notes and Comments while offline. NEW 7.2 Curriculum Admin and System Admin can now edit all user's playlists enabling Admin to have greater control over content in use at every level of teaching and learning. NEW 7.3 Playlists are now searchable via federated search. Results are conveniently organized within a separate playlist search results tab. NEW 7.0 Featuring thumbnail navigation plus optimized screen views for mobile devices and large displays. 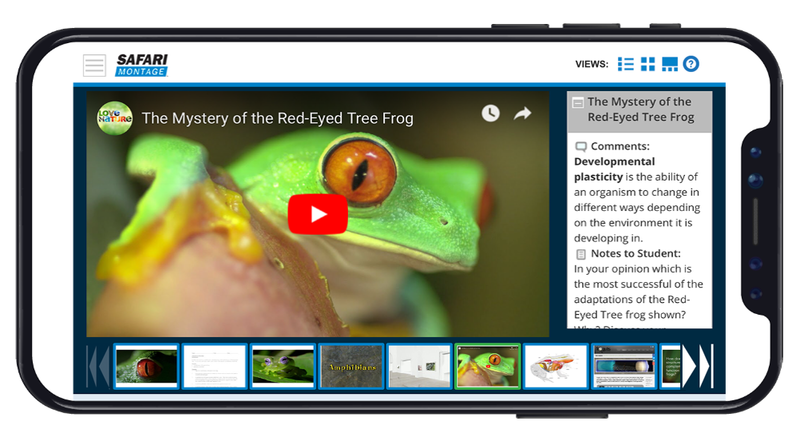 NEW 7.2 Now offers auto-advancing display of Comments, Notes to Instructor and Notes to Students during in-class playback of resources. 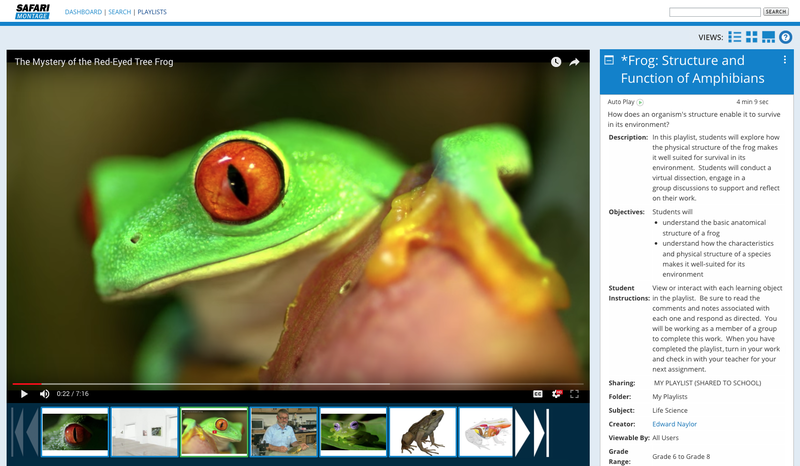 NEW 7.0 Students will be able to view content in 2/3 screen while seeing pertinent details alongside the video or imagery. NEW 7.2 Action Item icons in Classic View have been updated to match previous enhancements made throughout the system.